To celebrate the arrival of the spring next month, French pâtissier Thierry Mulhaupt has created a gem of a cake. 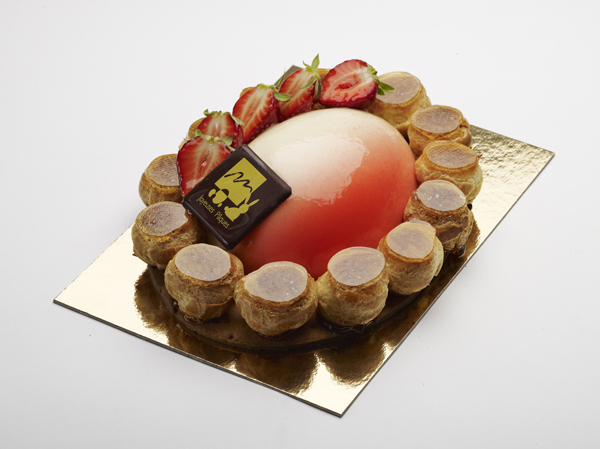 Its soft and fruity centre of vanilla mousse and strawberry compote is delicately ombré and set with beads of creamy choux puffs. As food presentation is becoming more and more important, as seen at Sirha 2013, pastry chefs around the world are outdoing themselves to come up with creations that are as appetising to the eye as to the taste buds. Subscribers can read more about Ombré cakes and Choux puffs in our Food & Drink area.